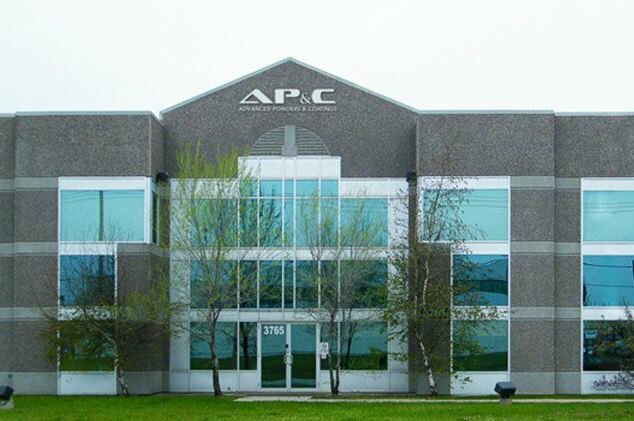 AP&C, a producer of spherical metal powders for metal additive manufacturing, has opened a manufacturing facility in St Eustache, Quebec. The $31M CAD factory employs over 100 people and will be able to annually process 1250 tons of material at full capacity. The new AP&C facility in St Eustache, Quebec. Photo via AP&C. 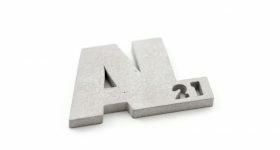 AP&C specialises in high purity titanium metal powders for use in metallurgical applications. The company was purchased by Swedish firm Arcam AB in 2014. Arcam was in turn purchased by GE in 2016. 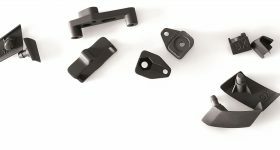 Metal 3D printed hip stems from Arcam. Photo via Arcam. The new plant adds additional automation to AP&C’s existing processes. 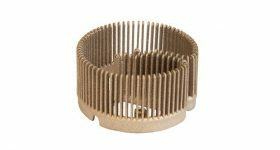 It contains the AP&C powder manufacturing reactors, which blast metal wire with plasma torches inside a water-cooled chamber to produce the spherical metal powders. Currently, AP&C’s reactors yield in excess of 60 tons of powder annually. Speaking about the news Alain Dupont, President of AP&C thanked industry and government partners for their financial support. 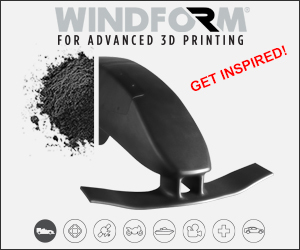 Magnus Réné, CEO of Arcam added, “The need for high end titanium powder is driven by the fast growth and adoption of Additive Manufacturing. 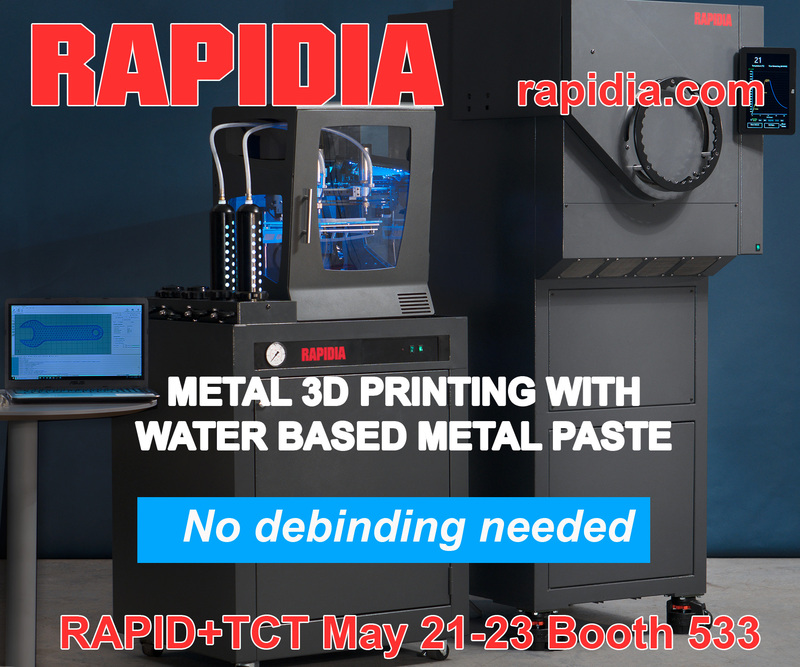 Arcam, AP&C and GE Additive are determined to serve the industry through cost efficient solutions thus converting traditional manufacturing into Additive Manufacturing”. 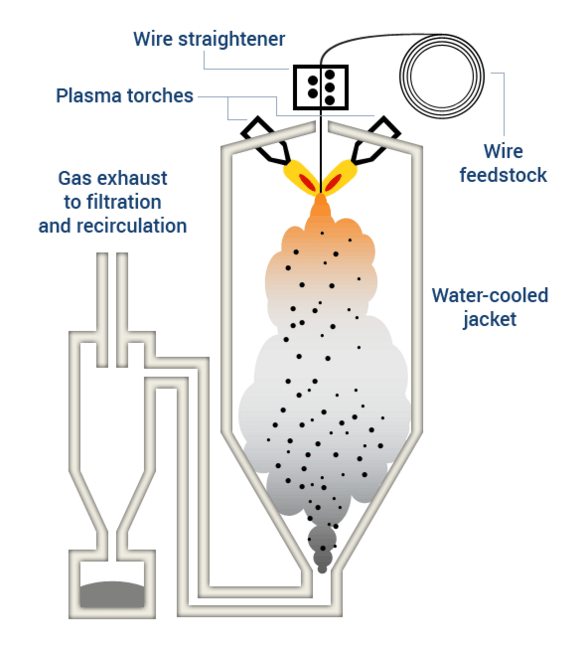 AP&C Advanced Plasma Atomization process. Image via AP&C. AP&C sales are currently split roughly 50/50 between orthopaedics and aerospace. 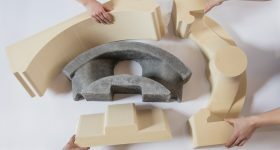 However, in an interview with 3D Printing Industry, Arcam’s CEO explains that expected sales of the powder to aerospace industries to eventually eclipse orthopaedics. Plasma atomization, a process by which spherical metal powders are produced, was developed by PyroGenesis during the 1990s. 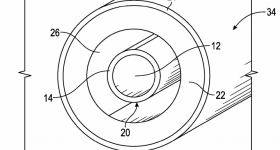 Arcam later acquired the IP for the process along with other company assets. 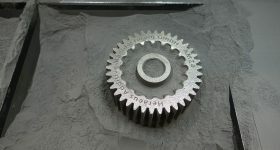 They went on to produce powders suitable for their Electron Beam Melting and other methods of Powder Bed Fusion metal additive manufacturing. 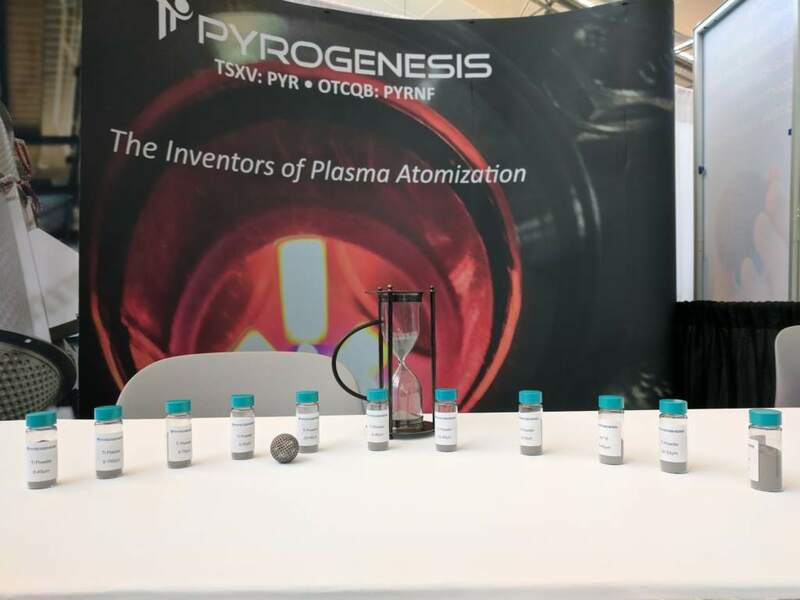 PyroGenesis are now developing a new plasma-based process to produce spherical metal powder, to enable MIM (metal-injection molding) cut powder production at higher volumes. 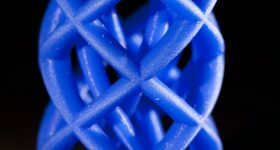 MIM powder based 3D printing is currently enjoying the spotlight with several notable enterprises focusing on the technique. The necessary diameter of the powder required for MIM cut ranges between 5-25 microns. 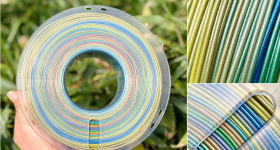 Sources in the 3D printing industry place the quantity of these “off-cuts” between 25 and 30 tons, a number of companies are exploring ways to utilise this surplus – which is currently advantageous due to its price. 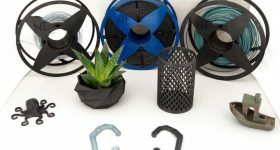 PyroGenesis metal powders for additive manufacturing. Photo by Michael Petch. 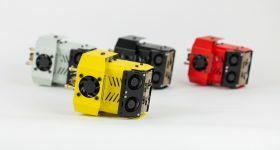 Pascali explains that they can now address this by “producing extremely narrow size distributions, which easily shift to any particle size distribution,” which he states will improve production, minimise waste and reduce costs. 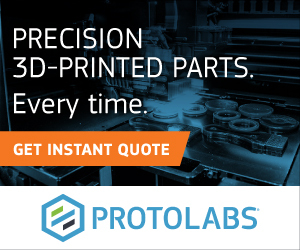 For more 3D printing industry news and insight, sign up to our daily newsletter. Also follow us on Facebook and Twitter. Featured image shows gas plasma jets as used in the atomization process. Photo via PyroGenesis.